The dramatic drop in the red line (787 model) corresponds to the time period where it became known how bad the battery problems are. 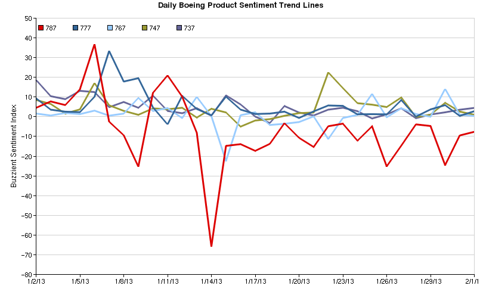 Since that time, Boeing announced decent results, but we can see in the social sentiment charts a lingering gap in product sentiment. Will this show up in delayed orders in subsequent quarters? 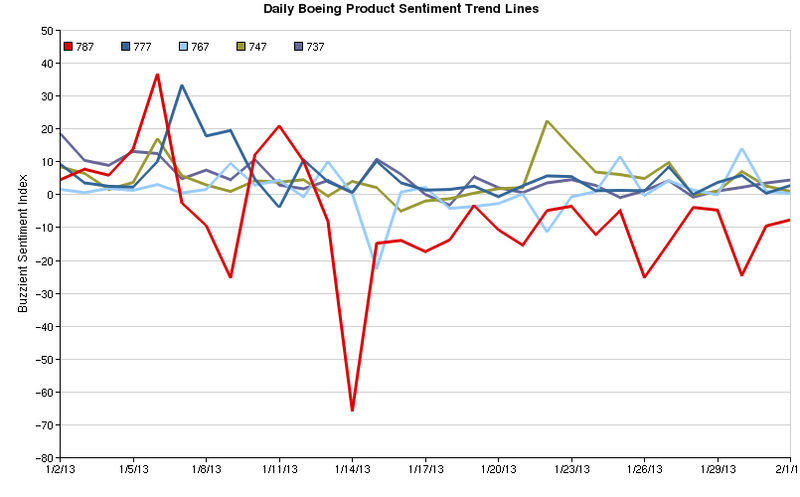 I think prudent traders, using this Buzzient data alongside other measures would advise a HOLD on $BA.